At Ukulele.io, we love music because we know what an important role it plays in the society. We, therefore, cannot imagine life without music and always make our best effort to promote it. 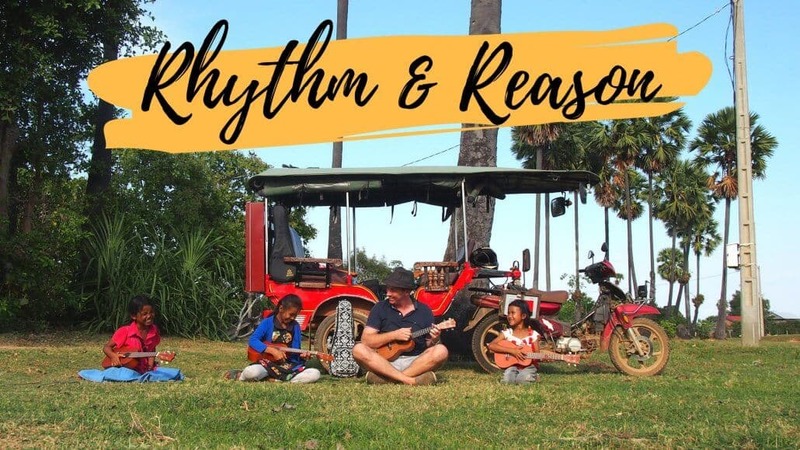 This is the reason we have partnered with Bondi Ukulele – to help support their Rhythm and Reason Initiative. They make affordable instruments without compromising quality. Most of their ukulele products come packed with all essential accessories so you don’t go looking for them elsewhere. They hold your hand as you start the ukulele journey by providing support via videos, Skype lessons and learn-to-play books. They have a genuine interest in giving back, especially through the Rhythm and Reason Initiative. 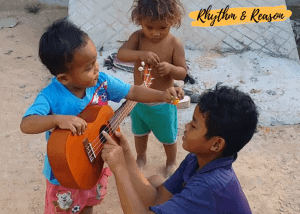 Bondi’s Rhythm and Reason Initiative is a program aimed at getting music into Cambodian schools by adapting and producing music that all kids can enjoy. Bondi empowers teachers with a ukulele, know-how, and ownership to ensure a self-sustaining educational program. For every Bondi ukulele sold, a percentage is contributed to putting a Cambodian school teacher through a special ukulele training course. Getting this training allows the teacher’s students to have music as part of their education. Jenny got her own Bondi Ukulele starter kit package. To give you a sneak peek of what to expect if you get your own, she posted the video below. As you can see, the starter kit is just wonderful. It has all you need to get going in one package! 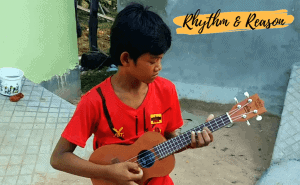 So do you want a fantastic ukulele complete with all necessary accessories while at the same time contributing to a worthy cause of bringing music to Cambodian classrooms? Look no further. Follow the link below and play your part.